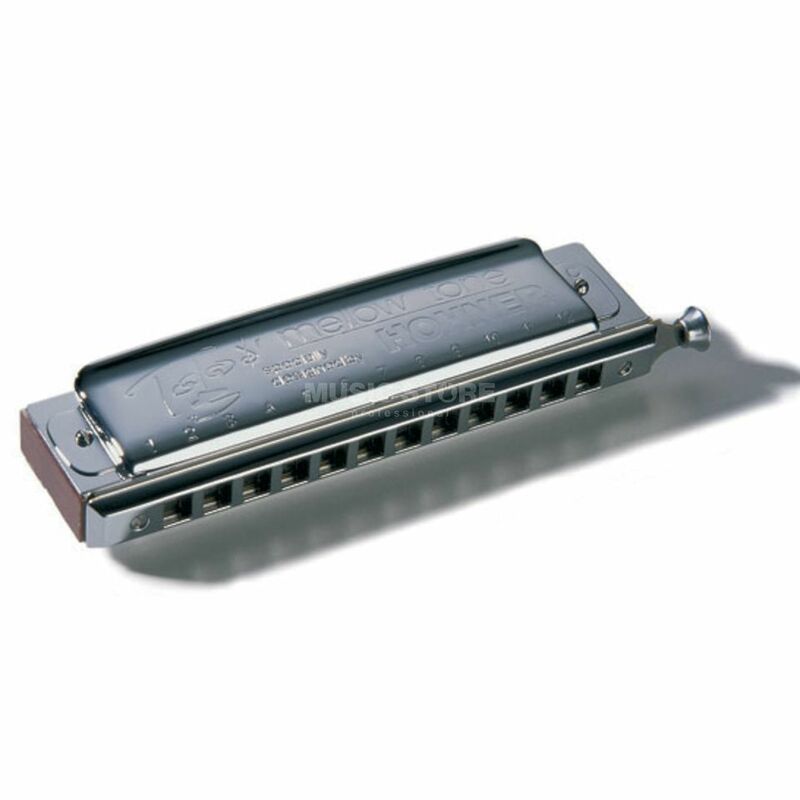 The Hohner Toots Mellow Tone 48-Tone Harmonica is a chromatic harmonica in the key of ‘C’ designed in close cooperation with and endorsed by jazz legend Toots Thielemans, offering a full, mellow tone ideal for ballads and classical pieces. The grand old man of harmonica jazz Jean ‚Toots Thielemans is one of the most widely recorded artists on the chromatic harmonica. He has also composed numerous pieces for the instrument. Conceived as an homage to the elder statesman of harmonica jazz and designed in close cooperation with the master himself, this series reflects the musical demands of the discerning jazz chromonica player. When Hohner introduced the first ever 10 hole slide chromatic harmonica in 1912, nobody could have foreseen how successful the concept would be. This tradition is still going strong today. The design was awarded a US patent in 1928 and has been marketed under the name Chromonica since 1938. Thanks to continual upgrades, the Chromonica series not only remains the world's best selling chromatic harmonica, but is also the basis for all subsequent developments in this field, one of the timeless Hohner inventions which have defined the harmonica history of the past hundred years.